I missed the amazing rainbow that graced Portsmouth with its presence last week, but I was happy to find another one last evening as I was heading home from work. 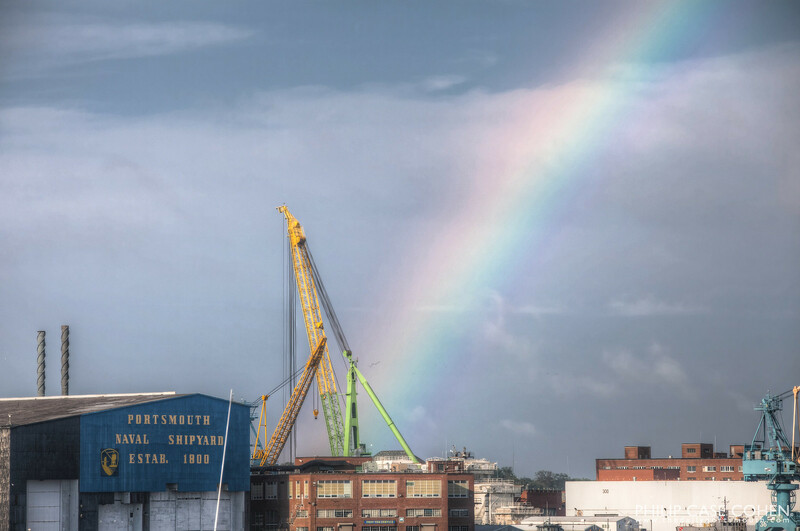 Above, the rainbow ends above the Portsmouth Naval Shipyard. 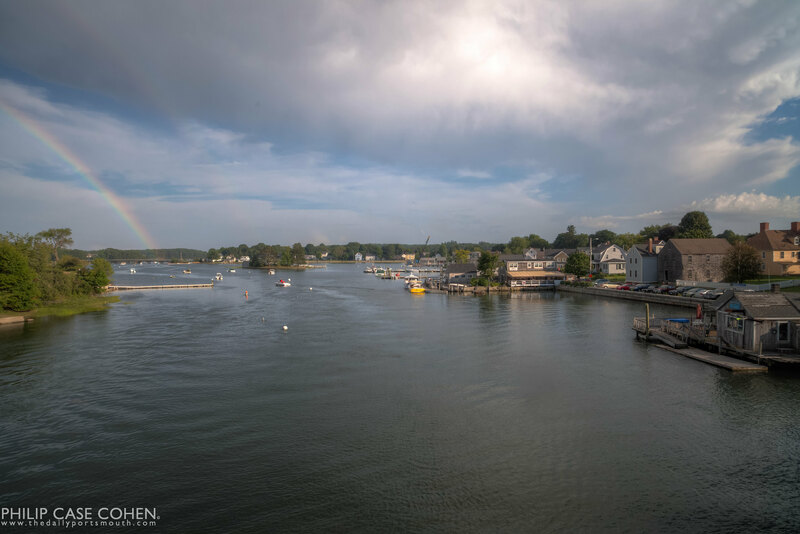 Below, the rainbow is seen with the South End waterfront with another faint rainbow forming above it. 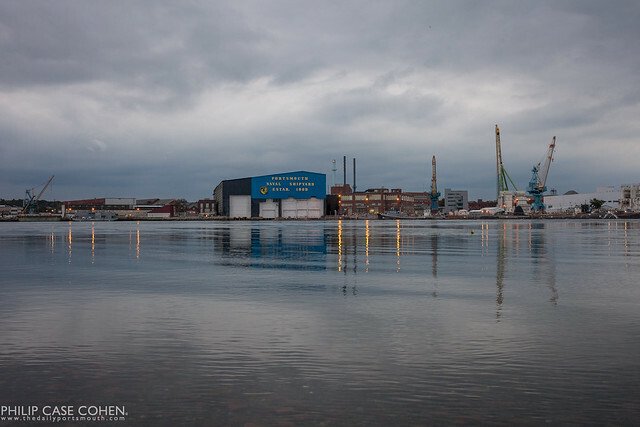 Dusk at the Portsmouth Naval Shipyard with calm waters as the wind died down and slack tide arrived. 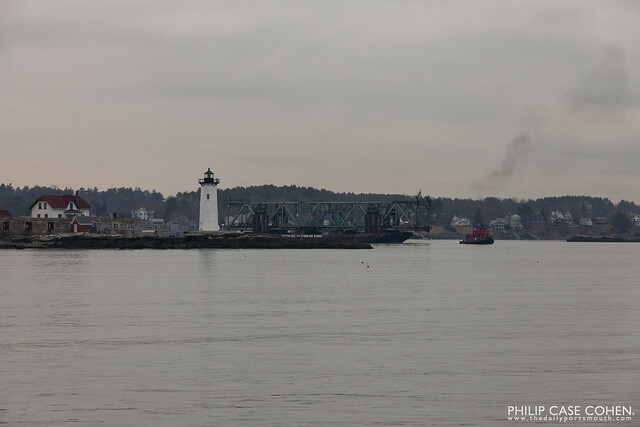 Another spot along the banks of the Piscataqua River in Portsmouth is tucked in between piers in Prescott Park. 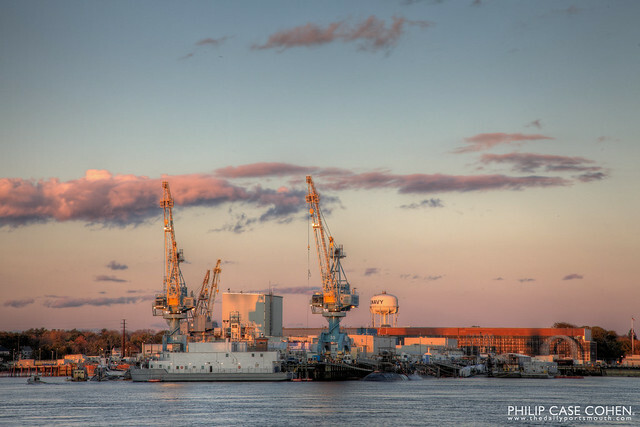 The Portsmouth Naval Shipyard can be seen in the background beneath the blue summery sky. 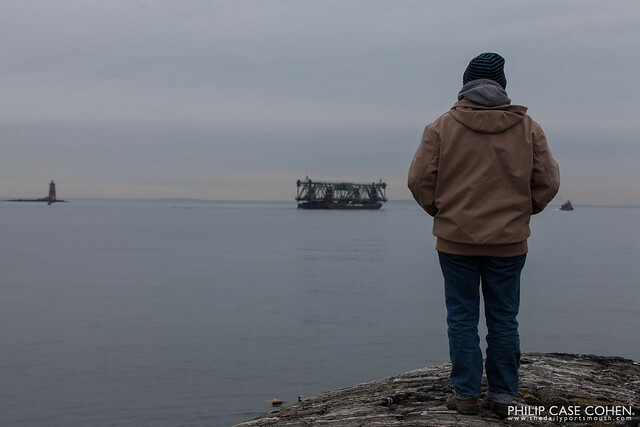 I’m always writing about why I feature a certain image, or about the story behind it. I thought today I’d start to try something new – what do you like about this image? Is it a connection to the place, the view, the weather? 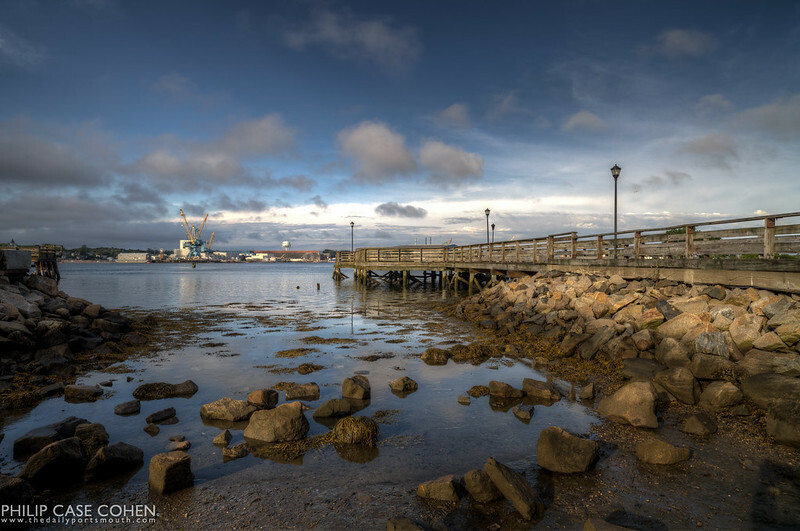 I’d be curious to hear what you might write if you were putting together today’s post with the above image from Prescott Park – featuring the public docks. You have to click this one to see it large. The submarine that is docked in port at the Portsmouth Naval Shipyard is being hosed off as the shipyard glows in the late day sunlight underneath some colorful and fluffy clouds. 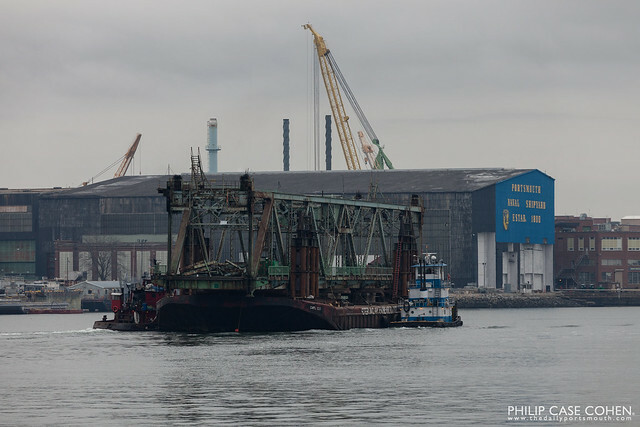 What a serene scene and a nice portrait of the colorful cranes on the Maine horizon.